Thinking about becoming a teacher? We all think we know what it's like to be a teacher. After all, we were all students at one point or another. But as a student, even now as a college or grad student, do you really know what your teacher's job is like? For example, summer "vacation" is not always what students and parents think—it's often not much of a vacation! So what exactly do they do? What are the advantages and disadvantages of a career as a teacher? What might you earn? Read on to learn more about becoming a teacher. There are some major pluses of being a teacher. First is a solid paycheck that is less vulnerable to changes in the job market and economy. Teachers also have benefits such as health insurance and retirement accounts. 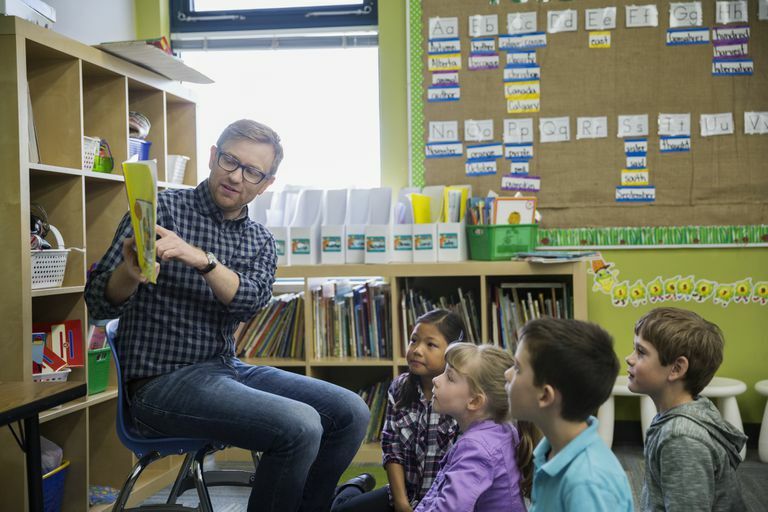 Weekends off, as well as holidays and, to a certain extent, summers off, make for some important lifestyle advantages to a career as a teacher. Of course, the biggest advantage is that teachers can share their passion, share it with others, and make a difference by reaching their students. The challenge of meeting student needs. Class overcrowding, students with very different needs, and often poor resources can make it very difficult to do your job. Standardized testing and the problem of ensuring that students make the grade while helping them learn something apart from the test. Parents. Working with parents can be a pro and a con. Wonderful parents can make you feel like you're making a difference but overly critical parents can be a real challenge. Homework. It's not just students who have homework. Many teachers spend their own money on materials to use in their classes. Teachers are often required to earn a master’s degree. School districts may or may not pay for it. It’s not just salary that differs by public or private school. The advantages disadvantages of a career as a teacher vary with the type of school in which you’re hired. For example, advantages of public schools often include higher salaries, diverse student populations, and job security (especially with tenure). There is a great deal of variability among public schools; that’s a plus and minus. It also means that these advantages and disadvantages will vary by the school system and don’t hold for all. Disadvantages of public schools tend to include larger class, more varied resources—often a lack of resources, potentially outdated books, and equipment, and lack of facilities for teachers. Again, this varies radically with the school system. Schools in affluent neighborhoods often have a wealth of resources. One important point—whether advantage or disadvantage—is that teaching in a public school requires certification. Private schools are known to hire non-certified teachers. Although skipping certification and teaching in private school may seem an attractive choice to some, the pay scale is lower. However, teaching at a private school allows you to gain experience before making any long-term career decisions. Additionally, you have the ability to work while earning a teaching certification. Once certified, you may choose to work at a public school, which will provide you with a higher salary. Advantages of private schools tend to include smaller class sizes, newer books and equipment, and other resources. Again, these vary by school, however. Each state has different requirements for certification, so the best way to proceed is to contact the education department in your state. A bachelor's degree, a BA or BS in education, will prepare you for certification. Some states require that education students seek an additional content major, effectively completing a double major. The second option for students who did not major in education or who are beginning a new career is to attend a post-college specialization program. 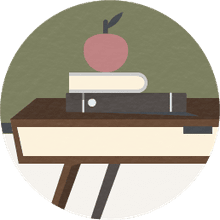 Teacher training programs are typically one year in length or may be part of a master's program. A third option is to enter a master's program in education (with or without a prior education degree) and you can earn teaching certification. Getting a masters degree in education isn't absolutely necessary to becoming a teacher, but some schools require that you either have one or are on your way to getting a master's in education or some specialty subject within a certain number of years after being hired. A master's degree is also the ticket to a career in school administration. Many teachers choose to work toward a master's after they've already been teaching for a few years. Sometimes when states don't have enough qualified teachers, they offer emergency credentials to college graduates who want to teach but who have not yet met the state's minimum requirements for regular credentials. These are given under the pretense that the teacher will eventually take all of the required courses for valid certification (so the teacher must take classes outside of work while they are teaching). Or some states offer intensive programs over a period of months. Should You Teach at a Private or Public School?